One of the best things about metal barns is how versatile they are. Not only are these solid metal structures affordable, they are customizable and appropriate for so many uses. With increasing real estate prices and construction costs what they are, metal buildings have becoming a go-to solution for a variety of uses. Forgo traditional brick and mortar construction for a metal barn. They take less time to construct than many other types of buildings, and are comparatively inexpensive while at the same time being extremely durable and long lasting. Whether you’re looking for space for storage, space for offices, or space for your hobby, it’s a good idea to invest in metal barns. There are many creative ways to transform metal barns into just the space you need. Here are few ideas for you. Residential storage – If your family is in need of additional storage space, a metal barn is the perfect solution because it’s low maintenance and versatile. Whether you need more space for keepsakes, holiday decorations, lawn equipment or your ATV’s, metal barns are a low-cost option and easy solution to gain extra space. Farming/Agriculture – A low maintenance, cost effective material, steel barns are perfect for agricultural equipment and livestock. 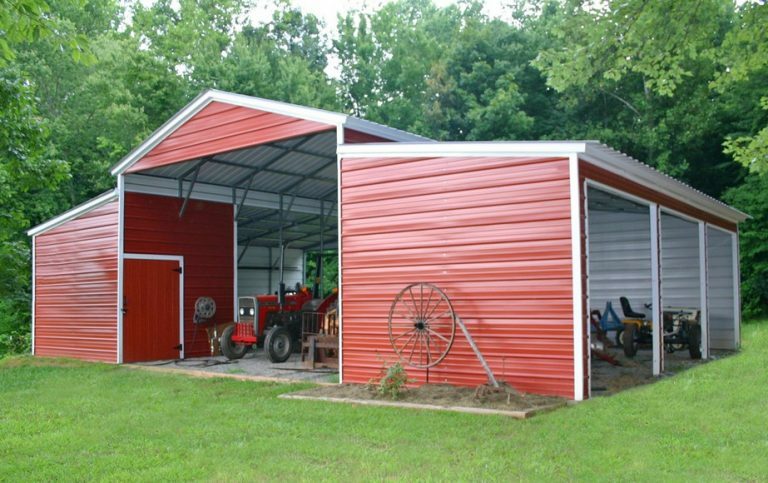 Metal barns can be customized for housing tractors, other farming equipment, supplies, and farm produce. Since metal is more durable than wood, it can withstand harsh weather and a lot of abuse. Greenhouse – Got a green thumb? Metal buildings are easy to insulate and customize with interior features like shelves and lighting. Plus, they are naturally fire-resistant, which helps protect your crops. No matter what your needs are, New Deal Metal Buildings can help you customize the perfect metal barn. Contact us today to get started.